My First Year As A Vegan! So today it’s been exactly one year since I went vegan…my vegan-niversary, if you will! April 6, 2018 was the day that I decided I would no longer consume or use any animal products. For me, going vegan was a slow transition. I was a vegetarian for over 5 years before, and I had attempted… Continue reading My First Year As A Vegan! Plant-Based vs Vegan | What’s The Difference? There’s a lot of misinformation out there about eating a plant-based diet vs being vegan. So often, on social media, I see celebrities talking about being “vegan” — when in reality, they’re choosing to eat plant-based (which is great), but aren’t necessarily living a vegan lifestyle. There are lots of people who unintentionally think that… Continue reading Plant-Based vs Vegan | What’s The Difference? Is It Really Cruelty-Free If It’s Not Vegan? Can something be considered cruelty-free even if it’s not vegan? 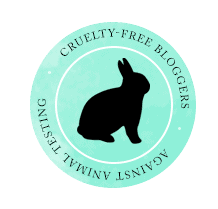 By definition, yes — cruelty-free means there was no animal testing involved (from ingredients through to the finished product); but how can something that contains ingredients that have come from animals — who legally suffer every day — be considered “cruelty-free”? There are so many… Continue reading Is It Really Cruelty-Free If It’s Not Vegan?